If you have substantial assets prior to tying the knot, you have likely considered entering a prenuptial agreement. Doing so is smart, and if you and your soon-to-be spouse have talked about prenups, you are one step ahead of many. However, know that even the most well-thought out and talked-out prenuptial agreement is not bulletproof. Prenups can be contested in court. Even if a judge declares a prenup valid, the court fees that arise out of the contesting of the prenup may end up costing you thousands of dollars, especially if your prenup did not include a prevailing party provision. So, if your prenup is not 100 percent guaranteed to safeguard your assets, do you just have to trust that your spouse does not go for, say, your family jewels, or the home left to you by your grandmother in her will? Not necessarily. If you plan ahead, you may be able to create a Domestic Asset Protection Trust. A domestic asset protection trust, or DAPT, is an asset protection strategy that many wealthy individuals use to shield their assets from creditors. As it turns out, it is also a good tool for individuals to use in divorce. This type of trust differs from a revocable living trust in that you do not have any control over it while you are still living. Why is this differentiation important? Because technically you do not own something you do not have control over. However, it also differs from an irrevocable living trust in that you can name yourself as a beneficiary with a DAPT, which is also an important distinction. Because you do not “own” the assets in your trust, creditors cannot come after them should you owe money. Technically, in a divorce, a spouse is considered a creditor. If you were to put your assets in a revocable living trust, your spouse could come after them. However, if you were to place them in an irrevocable living trust, creditors or your spouse could not touch them – and neither could you. A DAPT is a nice compromise. With a DAPT, your assets are protected from creditors AND they are available to you because of your ability to name yourself as a beneficiary. Technically, as the creator of the trust, you are a “discretionary beneficiary,” which also means that you have control over the trustee. When Should You Create a DAPT? Ideally, you should create a DAPT before you get married. You should treat this type of tool just as you would a prenuptial agreement. 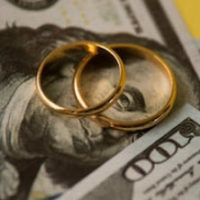 You and your spouse should discuss what assets are separate, which will remain separate throughout the marriage, and which will be excluded from property division should you get divorced. However, if you only think to create a domestic asset protection trust after tying the knot, professionals suggest undergoing counseling to discuss the ramifications of creating the trust. Bear in mind that if you do create a DAPT during your marriage, the judge might regard it as fraudulent transfer or a breach of fiduciary duty owed by one spouse to another. For this reason, if you really want to protect your assets, you should opt to create the DAPT six months or more before getting married. Ideally, a DAPT would be created in conjunction with a prenuptial agreement. Even if you opt to set up a domestic asset protection trust, your assets may still be at risk. This is because many states do not allow DAPTs, Florida being one of them. Furthermore, the states that do allow them have certain restrictions and exemptions in place that may make it difficult for you to shield your assets from your spouse. If you do want to establish this type of trust, you need to plan ahead and locate the best state in which to develop your trust. You also need to ensure your assets “reside” in that state, otherwise they are ineligible for protection. A Boca Raton property division attorney can help you explore your options and devise a plan to protect your assets in a legal way, including discussing prenuptial agreements and other asset-protection plans. To learn more, contact the Law Offices of David L. Hirschberg, P.A., today.